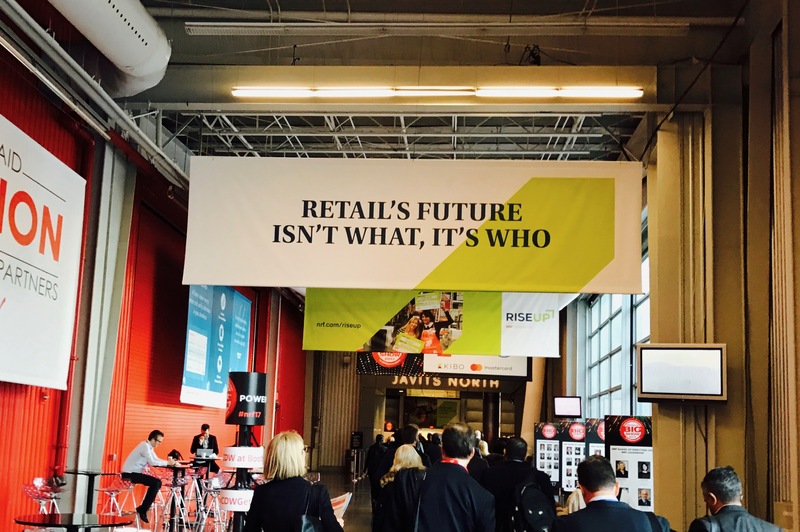 From the fireside chat with Sir Richard Branson (hire good people, and give them a purpose) and the Expo Hall themes from vendors (empower your store associates with technology), all the way to the bannered tagline of this year’s show (“Retail’s Future Isn’t What, It’s Who”), a common thread at the NRF’s 2017 Retail BIG Show was a focus on people. Indeed, even Walmart’s presentation on digital transformation spoke specifically to how critical their in-store associates are to the buying experience. This may sound like a trite conclusion. After all, good retailing has always been about forming a connection with your customer. Likewise, the industry’s top technology trends over the years, from ecommerce to omnichannel to personalization, have at their core been about providing the best possible experience for the customer. But the recent zeitgeist in retail and the tech world at large has been a mixture of doom, gloom, opportunity and uncertainty around automation, robotics, artificial intelligence and all the impacts that five decades of Moore’s Law has wrought on businesses, consumers and macroeconomic trends. While those topics are all relevant, and were very much represented at this year’s NRF as well (did you know that 1/3 of all cashier jobs in the UK will be gone by 2020? ), I’d like to focus on two insights about the human species that might differ from your standard trade show takeaways. Do you know anyone that’s into Crossfit? I mean, REALLY into Crossfit? What about someone that’s an Apple fanatic? Perhaps you know someone with a Harley Davidson tattoo…it’s possible they may not even own a Harley Davidson. Why is that? What engenders such brand loyalty? 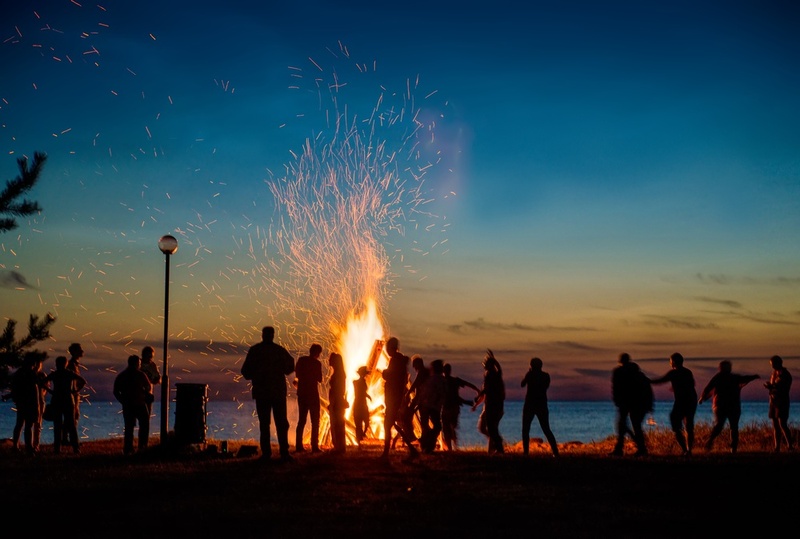 If you’re reading this, you can likely explain it in modern marketing and branding terms, but a presentation titled, “The Secret to Turning Stores Into Gathering Places – The Bonfire Effect,” drilled down on the anthropological underpinnings of this behavior. The session identified how a great store experience can be like the archetypal gathering place—the bonfire, and explored how brands and retailers that create physical environments for customers to gather and socialize within are finding massive success. Presenter Kevin Kelley, an architect and designer, discussed how human physiology hasn’t changed much in the past 100,000 years. We are fundamentally still the same beings that hunted and gathered as small bands of tribes. Put another way: our hardware (brains and bodies) is still the same, it’s just the software (culture) that has changed. As a result, even today our tribes search for and form around three basic things: solutions, meaning and experience. A necessity for our own survival, humans are first and foremost problem solvers. We are constantly in search of solutions. You might even recognize this as the basic building block of most sales and marketing efforts. Consumer X has a problem, and Product Y claims that it is the remedy. That approach has always worked. But what we also know is that the solutions that can successfully inject meaning into the problem-solution interaction consistently drive more loyalty than those that don’t. Think about it. There is a reason companies spend so much time and money crafting an elegant brand promise or go to great lengths to discover their “Why.” That reason is because humans crave not just solutions, but authentic meaning. People don’t want to be sold to, they want to connect with an ideology or shared purpose. This is just as true now as it was when our species gathered around bonfires at night telling stories. The final piece of the puzzle is experience. Kelley talked specifically about how the third thing that all people seek is sensory experience. Our memories of experience are driven by this. Consider the smooth, clean lines of an Apple Store or the smell of your favorite Starbucks. The bottom line is this: in 2017 (and far beyond), consumers don’t have to visit your store. Kelley calls this Return on Involvement: if I go through the trouble of coming to your store, what am I getting in return? The businesses that can not only solve a problem, but differentiate with meaning and build a unique physical experience have a leg up in forming their tribe and reaping all the brand loyalty that comes with it. A separate session, “The Happiness Halo—The Unexpected Benefits of Applying Behavioral Science to Experience Design” made the perfect companion to Kelley’s tribal concepts. Presented by Lippincott’s James Wright, the talk focused on how the world around is changing at an exponential rate, but people are still fundamentally creatures in search of emotional connections. The biggest takeaway was that anticipation of an experience is often as good or better than the actual experience itself. Have you had an event marked on your calendar that you were so excited about, but when the time came it felt like somewhat of a letdown? The reason for this is not necessarily because the event or experience itself wasn’t good, but has more to do with how our brains were wired by evolution. “Seeking” experiences such as hunting for food or, yes, planning an exotic vacation, are tied to the brain’s dopamine receptors. Our brains reward these behaviors by giving us a rush of joy and excitement. However, the actual experiences themselves, such as standing over your successful hunt or laying with your feet up on the beach are tied to our brain’s “finding system” and opioid receptors. So while we might be left with a sense of satisfaction, it’s possible that the experience often doesn’t (very literally in terms of brain chemistry) match the anticipation of it. This seeming imbalance is an evolutionary response that triggers us to keep seeking, also known as surviving. Therefore, in an automated future where excellence and quality quickly become commoditized, it’s useful to know that humans will always be driven to seek great experiences. But it’s not enough just to create great experiences, it also helps to tempt your tribe back to the bonfire. 1. Tease: use just enough info in your marketing to get someone excited about a new product or store opening. Let their imagination fill in the rest. Hollywood has been doing this for decades. 2. Tempt: deliver anticipation, or the promise of the experience yet to come. One good example of this is Four Seasons Hotel’s Pin, Pack and Go initiative, where location experts would reach out to clients with pinned vacation destinations to help them plan the perfect visit. 3. Treat: delight customers with something unexpected. Examples include invitation-only events that blend the line b/w retail and/or entertainment and dining, such as Restoration Hardware’s efforts at Three Arts Club in Chicago and Uber’s kittens.